If you thought Apple’s iMacs couldn’t be upgraded once they have been purchased, then you really need to ask Quinn Nelson what his opinion is on that. As we all know, every online personality worth his/her worth weight has a catchy and memorable Internet moniker. In this instance, Nelson is better known by his online name of SnazzyQ and has managed to push a $1,799 base-model 5K iMac to perform better than a top-end $5,299 model. 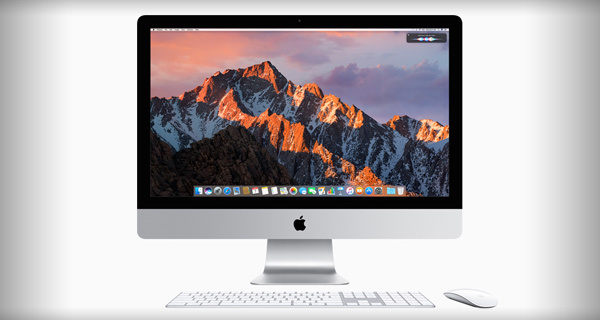 It may seem extremely beneficial to take Apple’s base-model 5K 2017 iMac and spend a small amount of time making improvements to ensure that it performs better than a top-end version, but it does come with downsides and caveats. First of all, it takes a lot of expertise and skill to actually achieve what SnazzyQ has achieved, which involved removing the full display of the iMac to get access to the machine’s inner workings in order to replace the CPU for an improved version. This, of course, instantly voids any warranty that would be in place. One of the easiest parts of the whole process was changing and upgrading the device’s RAM to a whopping 64GB. Apple may have made it very difficult to do the other upgrades, but has conveniently included a RAM door on the rear of the 5K iMac. Still, the rest of the process is likely to make the majority of iMac owners shudder at the thought of going through this process. The video, which has been created to show off the process, is extremely well put together and a seriously interesting watch for anyone interested in this level of iMac modification.